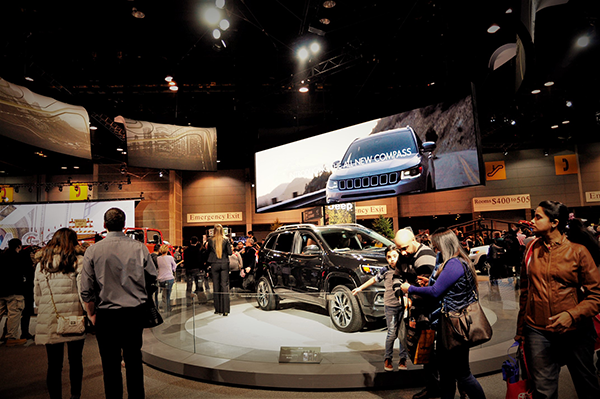 The Jeep Brand partnered with eshots to bring the great outdoors inside at McCormick Place during the Chicago Auto Show. The experience showcased all of Jeep's amazing off-road, safety and entertainment features while commanding steep mountain climbs and descents. Participants were able to ride in a Jeep vehicle as it traversed a simulated mountain range, showing off Jeep's leading off-road capabilities as well as other vehicle features. 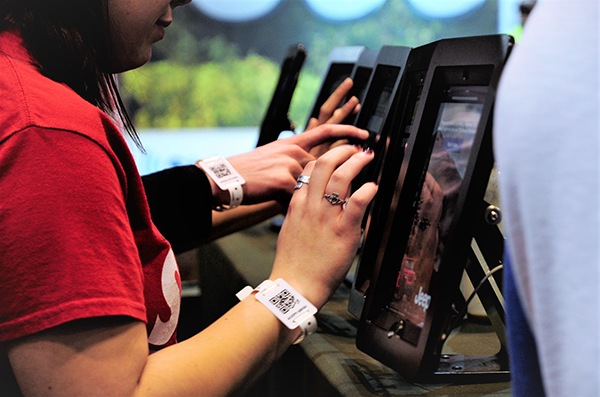 Upon arrival, consumers received a branded QR coded wristband, scanned, and completed Pre-Ride Registration. 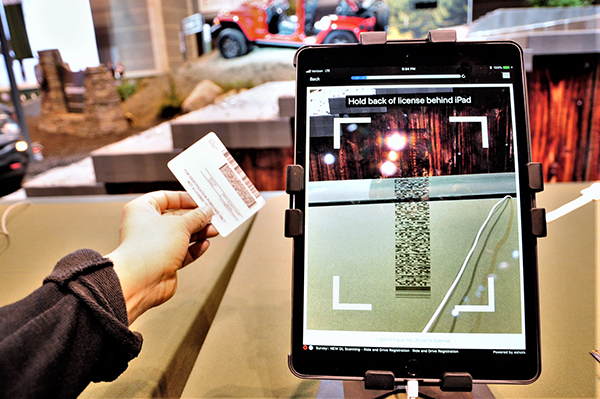 Consumers were able to scan their driver's license using the iPad camera to populate some of their personal information. 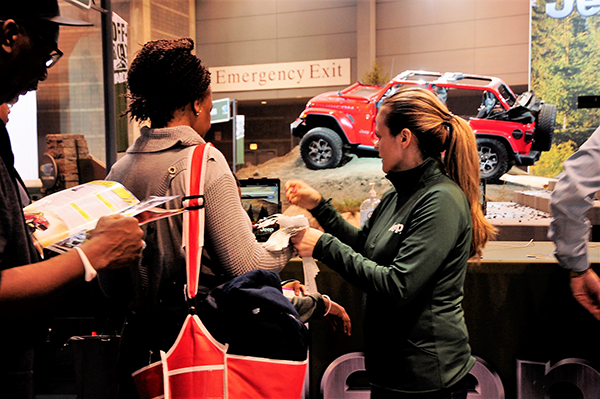 Additionally, if a consumer previously completed the registration survey at a different FCA location at the show (sweepstakes kiosks, product specialists, simulator, registration), their information and survey answers were found via their email address through eshots Cross Campaign Sync and pre-populate on the Camp Jeep survey. 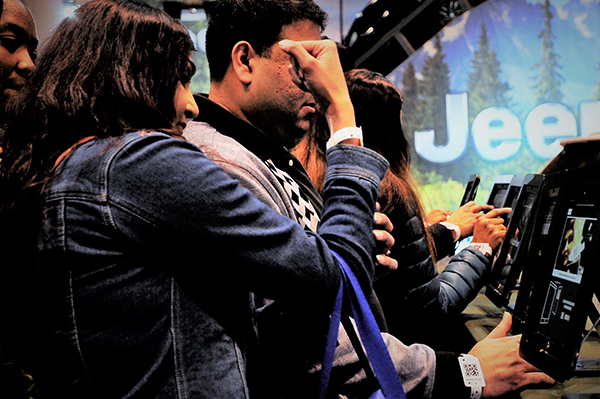 The ability to pull up previous registration information from other FCA activities around the Chicago Auto Show significantly improved the consumer experience by simplifying the registration / waiver process. Consumers could request more information on vehicles and select a preferred dealer to provide them with a quote on their vehicle of interest. After completing registration, consumers entered Jeep vehicles and were taken for a test ride with a professional driver. 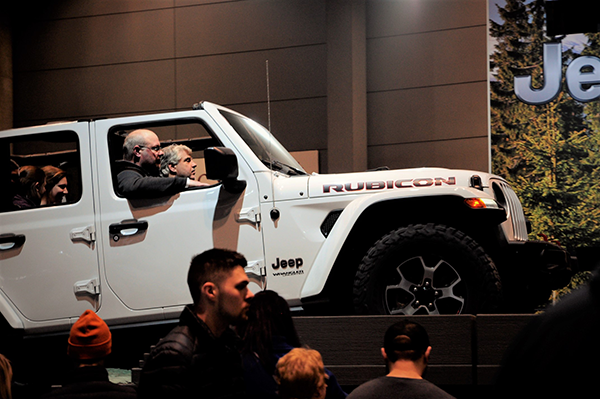 The ride showcased all the features of the Jeep lineup of vehicles. At the conclusion of the ride, consumers completed a post-ride survey and received a complimentary reusable shopping bag, to drive home Jeep's commitment to preserving the outdoors. Think Green. Think Jeep.